Mint is a cozy bar located in North Portland that I’ve been to a handful of times. 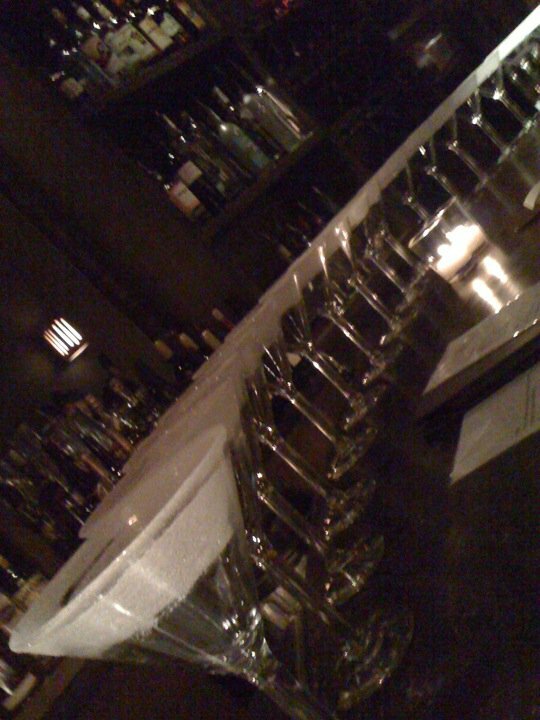 I enjoy the drinks more than the food but I like the atmosphere and the friendly staff. It’s a nice date spot too if you want to start an evening somewhere for a few cocktails. They have a nice selection of martinis to choose from and a few of them are featured on the happy hour menu for $6.50 (regularly $8). My go to martini is the 816 made with citrus vodka, harlequin, lemon lime juice and passion fruit puree. The sugared rim glass will make it sweeter than it really is but it has a nice flavor profile to it without being too overpowering. Another really nice martini is the Bella consisting of blackberry puree, vodka and lemon lime which is also served up in a sugared martini glass. 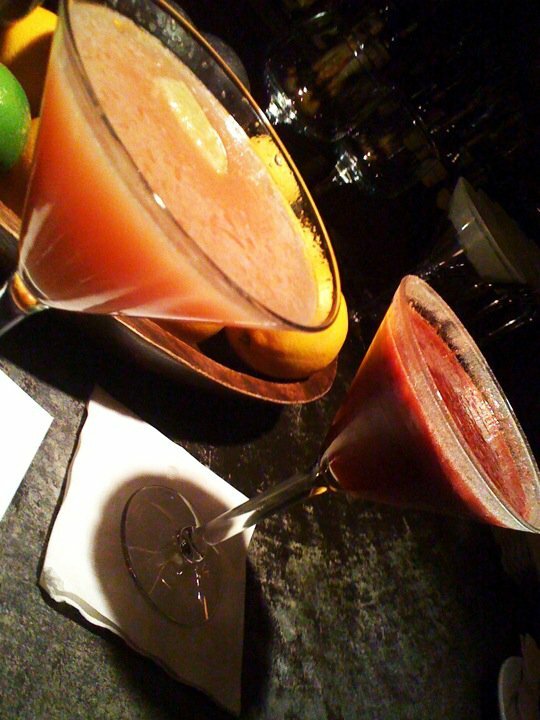 Wonderful drinks that are nicely crafted by the bar staff and worth the price they charge. My only complaint is the happy hour food menu isn’t that extensive which is a bit of a disappointment. They do have tasty sweet potato fries ($3.50) with a nice siracha mayo dipping sauce though. It can get busy during happy hours so get there early for a table but if you do have to wait it out then be comforted by the fact that their happy hour runs late so you won’t be missing out on the cheaper prices. That’s right I said it. The best in the world! Well at least in Portland Oregon. The Sapphire Hotel’s version of bread pudding is the best I’ve ever eaten (sorry mom) and until my dream of travelling around the world and eating every kind of bread pudding there is to try then my statement will hold true. The bread that they use is a cinnamon sugar variety that is so light and airy. It is topped with spiced rum caramel sauce, whip cream and candied walnuts. It is simply amazing. The size is large enough to share with another person if you so choose. I normally dislike sharing desserts but they offer such a large portion that in this particular instance it’s ok in my book. An extra added bonus is the Sapphire is one of my favorite places in town. The menu (pictured below) has three words written on it that should be my motto for life. 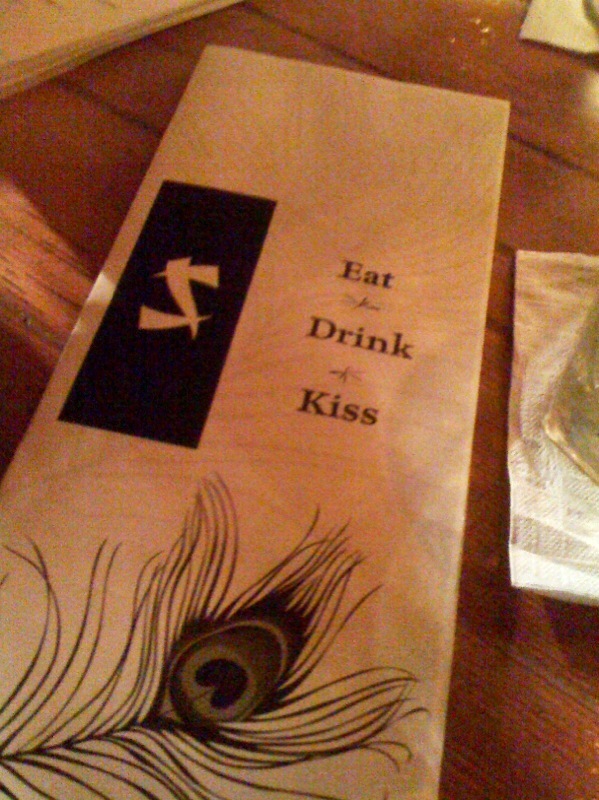 Eat Drink Kiss. Brilliant isn’t it? It is a cozy spot to have happy hour or a late night drink. Just be aware that the later you stay… the more PDA!! There are couples making out wherever you turn. Ugh. I know their menu says “kiss” on it but prolonged exposure to watching PDA can ruin a good vodka high. I wouldn’t know this personally though, I heard it from a friend 🙂 If you want to be distracted from it all, might I suggest turning your attention to the lovely bar staff and you’ll forget all about the smug couples that surround you. Tristan and Kyle are my favorites and although Tristan is currently not there I am holding hope that he returns to Portland and resumes his job there. If you’ve ever had a chance to talk to him you’ll know why. Yes, he is that nice and he made going there that much better. 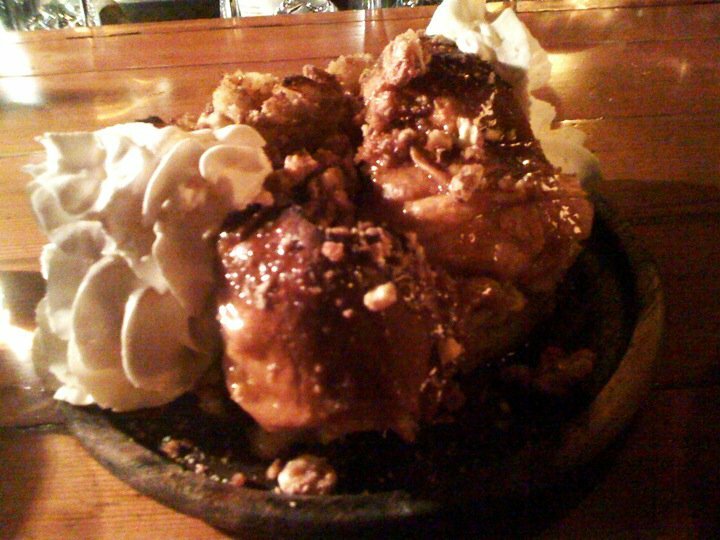 But in the meantime, try the bread pudding. You won’t be disappointed.